We were commissioned to deliver a new Website Design for Xenon Security. Xenon Security is the leading Security Company in Ireland providing nationwide coverage. Their Head Office is in Carlow and they provide Monitored CCTV and Security Solutions all over Ireland. 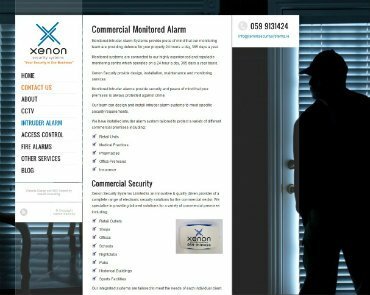 Our brief from the client was to deliver a new Website Design and SEO campaign which would provide Xenon Security with a search engine friendly website that would rank well organically and generate leads and sales for the company across Carlow, Dublin and in fact,all of Ireland.